For decades, Africa’s inability to count – and account to – its population has held back the continent’s development. This no longer needs to be the case, writes Cornelius Williams. Cornelius Williams is Regional Advisor on Child Protection at UNICEF’s Eastern and Southern Africa Regional Office. Africa’s lack of progress in reforming its Civil Registration and Vital Statistics (CRVS) systems has been described as the single most critical development failure of the past 30 years: Hindering the continent’s ability to count, and account to, its populations. But the tide has finally turned. Hundreds of senior officials gathered in Côte D’Ivoire last week for the Third Conference of African Ministers Responsible for Civil Registration, where the focus has been on the role of CRVS as an untapped opportunity, with the power to completely transform Africa’s development in the years to come. Interoperability with the health sector has been our game changer. Health Ministers play a particularly crucial role in their ability to unite civil registration and health systems, through for example offering free birth registration in maternity wards and alongside child healthcare delivery such as immunisations. 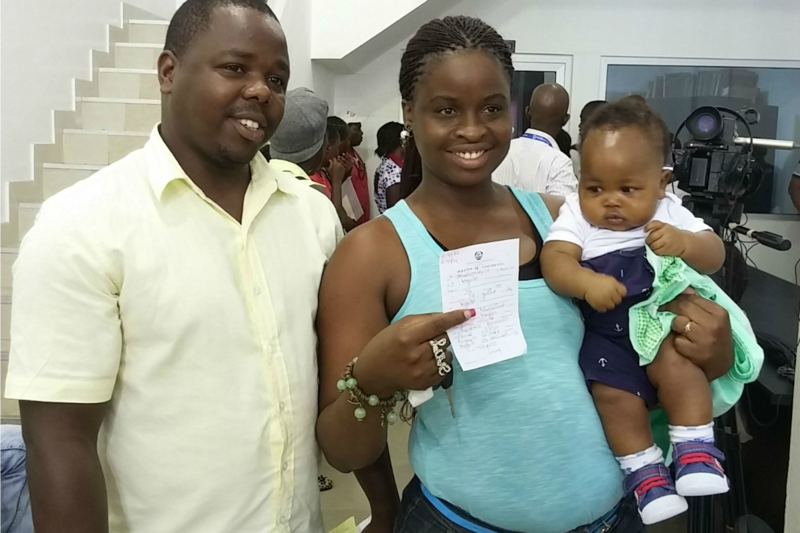 Such initiatives have led to hundreds of thousands of births being registered across the continent. CRVS includes the registration of vital events such as births and deaths, as well as the production of reliable population data. The Third Conference focused on the relationship between CRVS and good governance, in recognition of the significance of CRVS as a tool to facilitate development with all that entails, from supporting human rights to enhancing economic opportunity. Africa is at a critical juncture. Its commitment to regional integration aims to increase the continent’s economic competitiveness, which requires the free movement of people to support the integration of goods, labour and capital markets. Crucial to the free movement of people are robust CRVS systems, which ensure everyone has a legal identity, and can be accounted for in terms of planning for changes in populations, and the infrastructure and services those populations will require. Others recognise the significance of this current period, both politically and economically. Last month, World Economic Forum founder Klaus Schwab called 2015 “a year of destiny for humankind”: Not least because this year heralds the end of the Millennium Development Goals (MDGs), and the beginning of the post-2015 agenda. The vital statistics function of CRVS is fundamental in providing data to create the best policies and monitor targets such as the MDGs and Sustainable Development Goals (SDGs). Meanwhile, the UN General Assembly’s Open Working Group on the SDGs has proposed “legal identity for all, including birth registration” by 2030. So while this could indeed be a year which eradicates the “development failure” blot on Africa’s CRVS copybook, this will only happen if we start acting and not just talking. The good news is that some progress has been made. Countries such as Botswana, Cape Verde, Gabon, Mauritius, Namibia, Niger, Seychelles and South Africa are now providing models of CRVS best practise. And a recent EU-UNICEF initiative which focused on the reform of CRVS in eight countries, four of them in Africa, has shown what can be achieved in a small amount of time (two years), with a relatively small investment (€1.9 million per country). In Nigeria, a focus on the under one age group for birth registration through healthcare settings and a commitment to uniting government stakeholders to work toward a unified CRVS system, has led to registration of millions of children, despite the challenges of unrest in the North East and the Ebola outbreak in the South. Meanwhile Mozambique is attracting increasing donor and government investment having shown an early commitment to strategic reform. Mozambique was one of the first countries to complete a comprehensive CRVS assessment and form an inter-ministerial working group on CRVS, and is one of only a handful of developing countries to have a costed five year CRVS operational plan. Through the EU-UNICEF programme, Uganda piloted the use of mobile technology which in some cases has seen entire villages and hospital settings move from negligible birth registration rates to almost 100 per cent coverage. This technology has been extended to Mozambique, Burkina Faso and Nigeria. These successes were all showcased at the Third Conference. Government interest in CRVS is finally on the rise. Through the Africa Programme on Accelerated Improvement of CRVS (APAI-CRVS) Ministers in charge of civil registration from almost all African countries came together for the first time in 2010 at the first Ministerial Conference. Meanwhile African Heads of States and Governments increased the status of the meeting to an African Union standing mechanism which reports progress every two years. Countries which have the most developed CRVS systems have successfully integrated the benefits of such a system to the State – reliable data – with the benefits to the individual in the form of enhanced human rights through birth certification. A child’s first identity document is their first right that facilitates other rights such as enrolment into school and healthcare, and protects against rights violations such as being arrested below the age of criminal responsibility and resisting against illegal early marriage and human trafficking. Ministers at the conference agreed to launch a Decade of CRVS 2015-2024 with the goal of leaving no child out and no country behind in the effort to register all births and vital events in Africa. The engagement forms part of detailed recommendations arising from the ministerial conference which include strengthening the capacity of the Secretariat of the APAI-CRVS; establishing strong links with the health sector to improve registration of births and deaths including improving and causes of death information at country level ; establishing strong linkages between civil registration and national identity systems; and developing guidelines for mainstreaming gender issues in CRVS systems and for managing CRVS in conflict and emergency situations. The key success of the Third Conference is a consensus that progress in CRVS is no longer optional, and indeed needs elevating in priority above national ID and voter registration projects – both of which can draw on CRVS data, thereby vastly reducing the costs of such initiatives and increasing their sustainability. CRVS is a good investment. That this investment is made now is even more pressing in light of the fact that Africa is on another cusp – that of a predicted population boom. Nigeria, for example, will be responsible for a tenth of the world’s births by 2050. Whether this reaps a demographic dividend for the continent, or a socio-economic crisis, depends on Africa’s commitment to CRVS.